Hey guys, happy “Tuesday,” here’s a page. Due to some extremely heavy crunches at work, I’m having to put the comic on hiatus for the forseeable future :C It is still my baby, and it is not over by a longshot (the 300 pages of thumbnails in my closet attests to that). It is just difficult finding time in months of 12-14 hour workdays for a time-intensive passion-project like this, but I will let everyone know when I am able to get back to it. Feel free to follow any of the social media sites for the good news when that day arrives. And as always, thanks so much for reading. 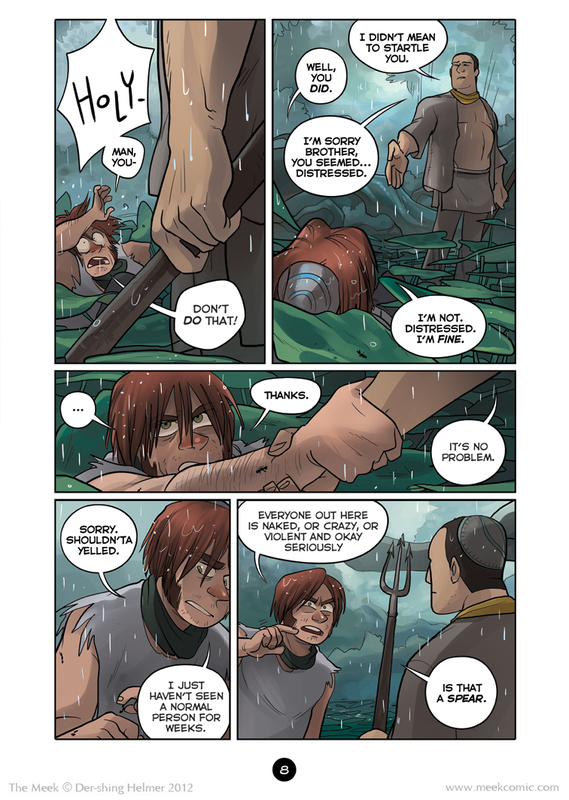 Hello to any “new” readers… the comic is still on hiatus, for reasons I can’t really get into. It is scheduled to return in a little over a year. In the meantime, I am starting a new self-contained webcomic that will launch Jan 2015 and run in its entirety before the return of TM… you can receive updates on that by following my twitter (or any of the social media links posted to the right). I’ve been working on it throughout this unfortunate hiatus, and am very excited to be able to share new work with you. Thank you all very much for your continued interest, and I can’t wait to get back to continuing the story of Angora with you.